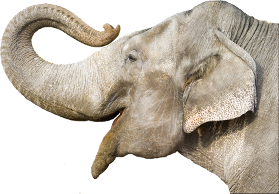 In 1997, Elephant Enterprises led a revolution in billing and timekeeping for attorneys by offering timekeeping and billing outsourcing at affordable rates. We have integrated new efficiencies and technologies to ensure our place as an innovator in this market, and to deliver the highest quality service and accuracy at a reasonable cost. In an age where time is a valuable commodity, law firms would rather focus on generating billable hours and client service, rather than the time-consuming and tedious task of billing management. That's where Elephant Enterprises becomes an asset you won't want to be without. Elephant Enterprises is an innovator in billing and timekeeping for small to medium-sized law firms and other professionals. Outsourcing this process to independent billing contractors has been the standard for many years in the medical and dental professions, resulting in increased efficiency, lowered cost,and the removing the necessity to train in-house personnel or deal with quality control issues. The process of outsourcing allows firms to concentrate their efforts on the importance of practicing law rather than the burden of administrative overhead. We utilize a variety of billing programs, allowing us more flexibility in determining the best solution for each client. Powerful programs such as Click 'n Go Billing, Timeslips, or QuickBooks are employed to make efficient work of your firm's data. Elephant Enterprises will eliminate the frustration associated with billing and timekeeping in your office. You'll no longer need to worry about daily work, illness or vacation days interfering with the bottom line. Advise which service options work best for you, and we'll take it from there, leaving you free to carry on business. We have extensive experience preparing bills in a format that suits your particular need. Whether your bills are generated on an hourly, flat-fee, contingent, or court-appointed basis, we make the process quick, simple, and cost-effective. In today's swiftly changing economic times, firms need to focus on ways to improve efficiency while controlling costs. 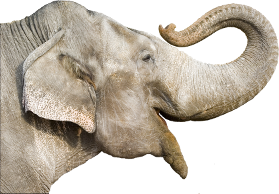 By contracting with Elephant Enterprises for a reasonable flat fee each month, your billing, workload, cost, and timelines are managed for you. Seasoned professionals handle your billing, eliminating the need for constant supervision or worry. Our goal is to make timekeeping and billing less time-consuming and difficult for you. During a typical month, we process your time, expense, and cost entries as we receive them. At the end of the your billing cycle, we electronically provide you with prebills. Your revisions to the prebills can then be made by fax, email or by hand. Post-revision, we will provide you with the final bills in electronic format to print and mail to your clients. If you prefer, and with your authorization, we will print and send the final bills to your clients for you. We can also provide you with a variety of time-management reports to help you better serve your clients and practice. If collections are an issue for you, we are experienced in managing both soft and hard collections, and can coordinate your collection efforts with one or more agencies. Isn't it time for you to eliminate your in-house billing troubles? Contact us for a free initial consultation.